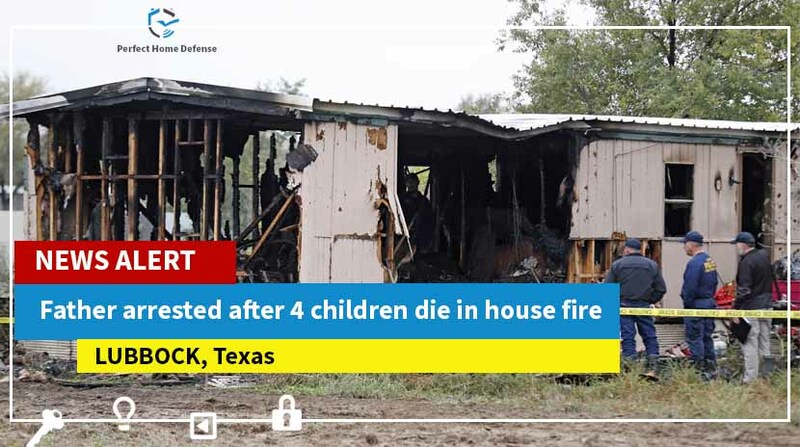 Lubbock, TX – A West Texas fire kills 4 young kids of a 27-year-old man Thursday, authorities say. According to the details, police have arrested the father, Wesley Lance Harvey for endangering/abandoning his children in the house fire. The fire broke out in a mobile home in Lubbock due to unknown reasons. Harvey was inside with four young kids. He left them in the fire and came out. When the first responders reached, the children were still inside. The firefighters attempted to save their lives but in vain. They were all dead. The youngest child was 1-year-old, authorities say. House fire incidents increase during the winter season. Be more careful. Take precautions to prevent such incidents at home. Be careful while using your electric equipment. Make sure your electric outlets are not overloaded. Make sure your children don’t play with fire or flammable items at home. Mount the smoke detectors in all the sleeping places of your house. Ensure these alarms are in working condition. If you want to integrate your smoke detectors with your home monitoring system, use a firefighter sensor. Test your smoke alarms on a regular basis. Don’t leave your home’s safety to chance.